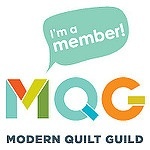 Back in April, 2017, I learned that my friend Daniela, BlockM Quilts, would be visiting Seattle (from Germany) and planned to take a workshop with Katie Pedersen , SewKatieDid. 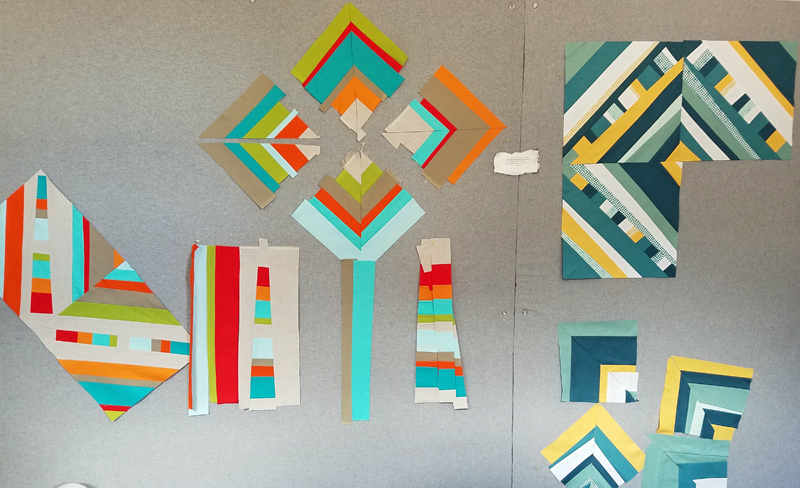 I jumped at the opportunity to join Daniela at Katie’s studio for the Psychedelic Baby Quilt Block/Modern Improv Strip Piecing Workshop. 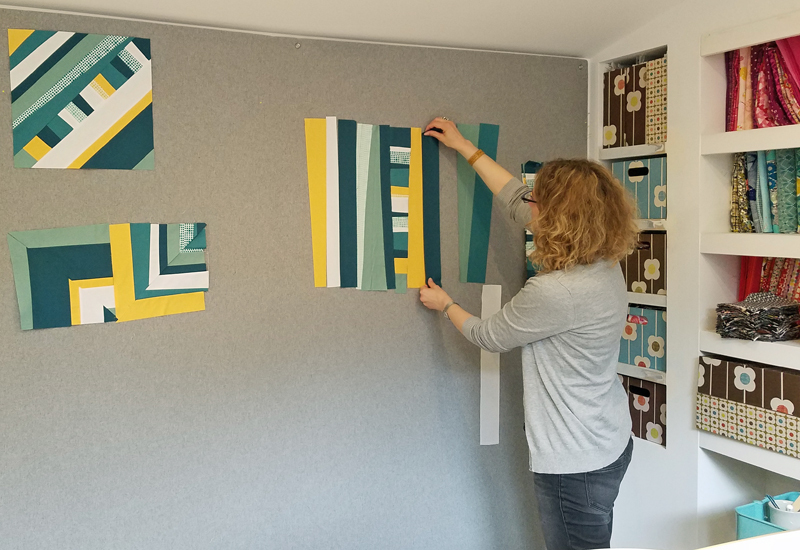 After viewing many of Katie’s wonderful quilts using this block, we each came up with a plan and began creating strip sets. 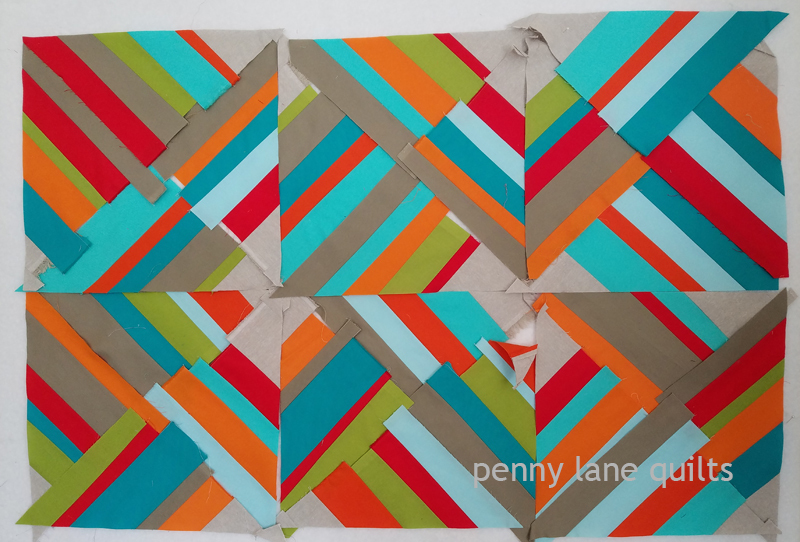 After the strips were pieced, we cut blocks from each set. 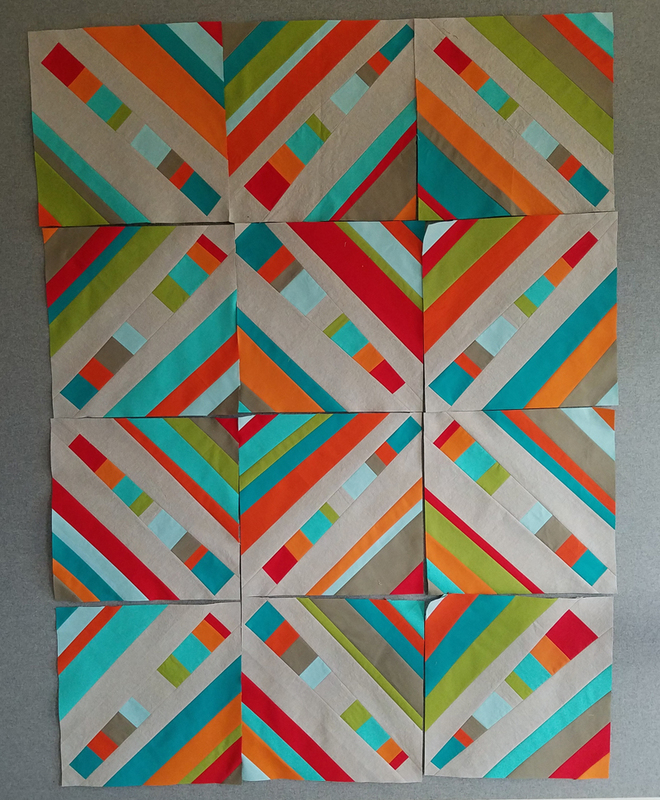 Back home, I created a few more blocks and decided on a layout for my quilt. 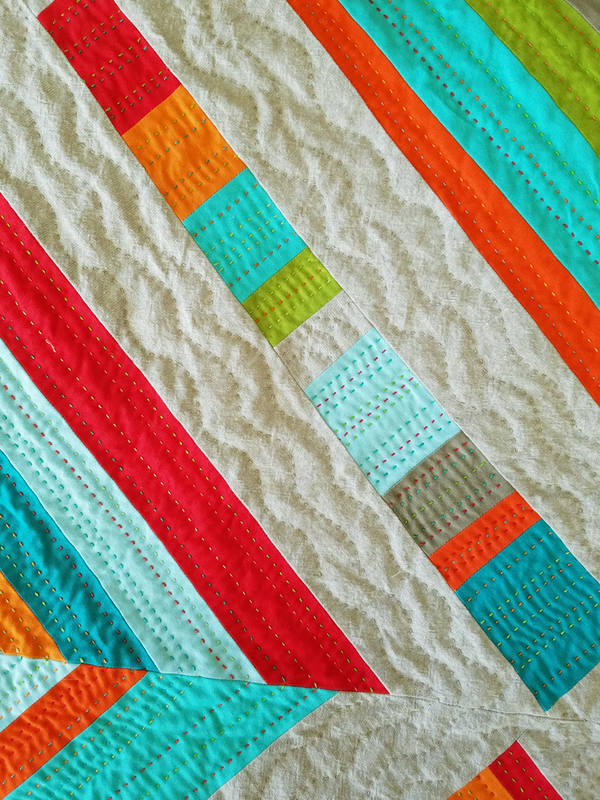 After deciding to hand quilt, I gathered my perle cotton threads and began the lovely, SLOW process of adding texture to the quilt. 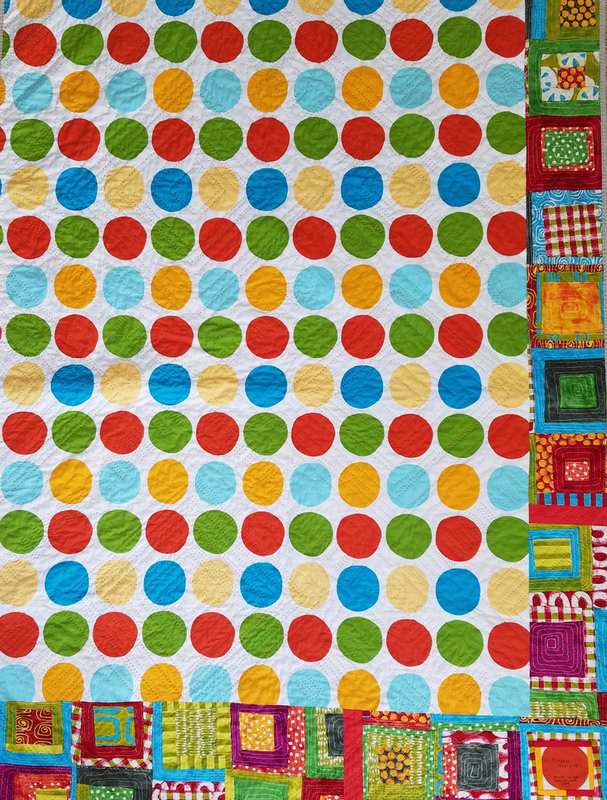 I tend to hand quilt in spurts, here and there when I have time. It is the perfect portable project. 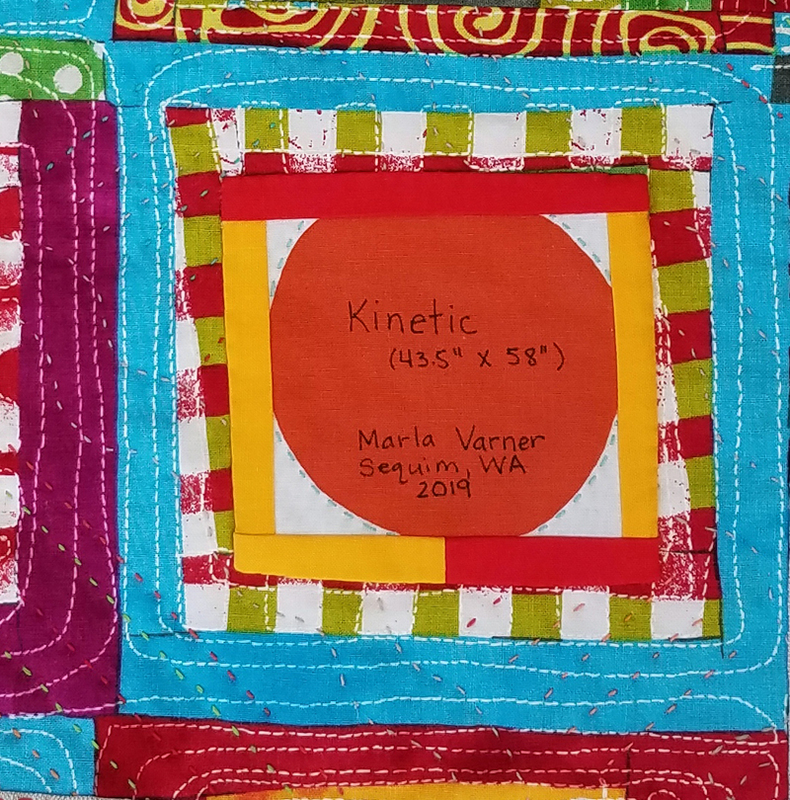 This quilt has traveled on long road trips and made an appearance at several events. 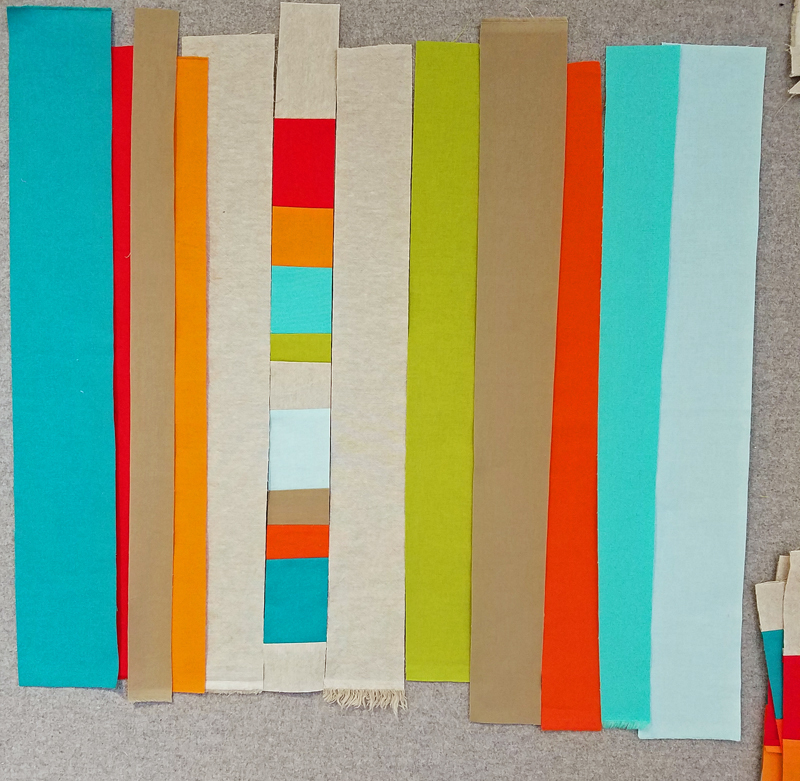 Every stitch helps move the project along. 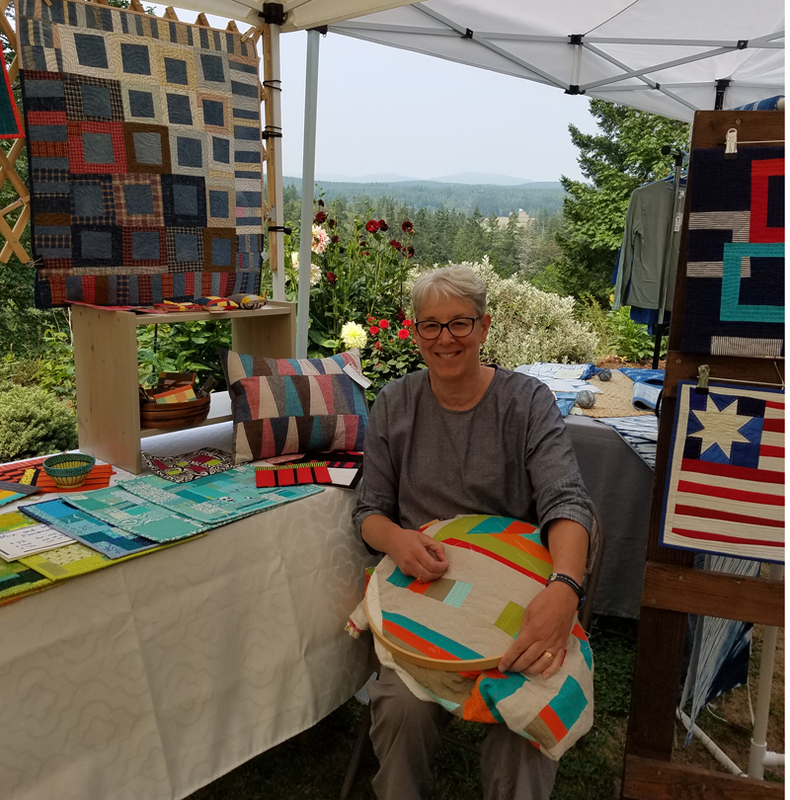 Stitching and enjoying the view at Egg & I Pottery during the Port Townsend studio tour. 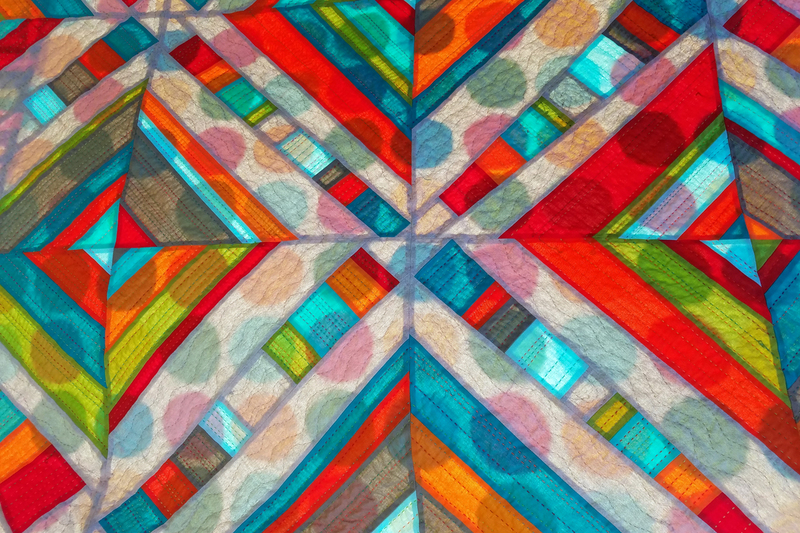 When the quilting was eventually finished, I decided to use yarn dyed linen for the binding. 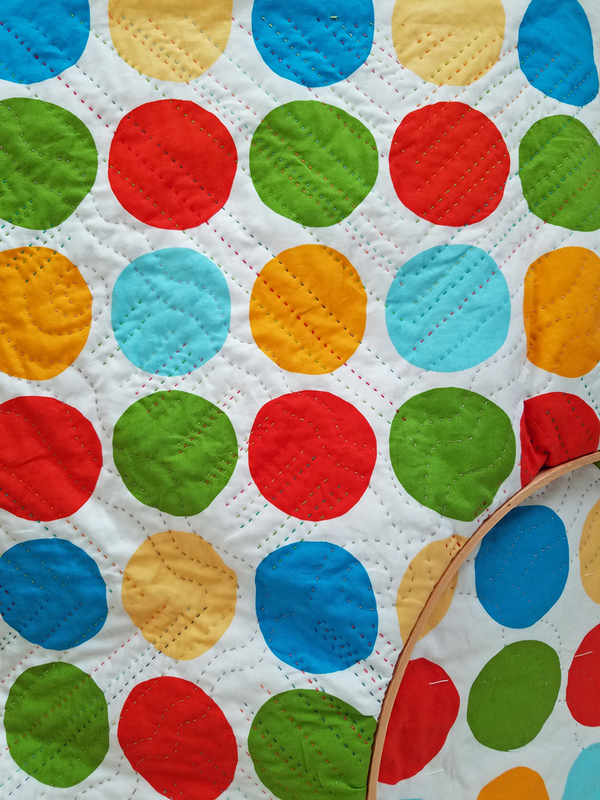 I tried something new (for me) and did some visible stitching to attach the binding on the back. 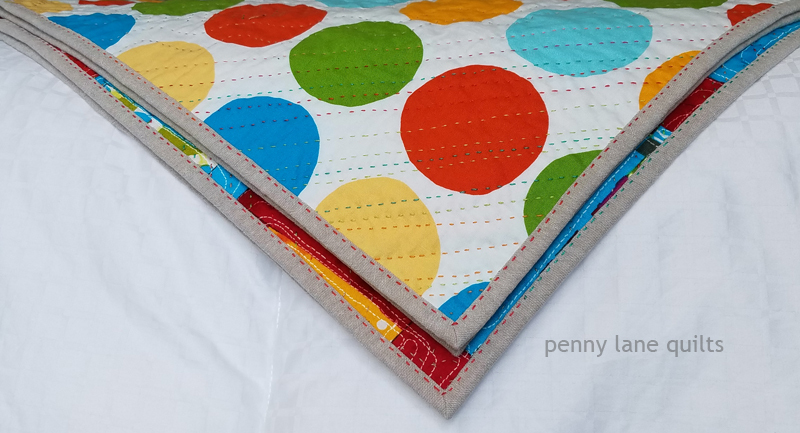 It was fun to change thread colors as I went around the quilt using 8 wt perle cotton. 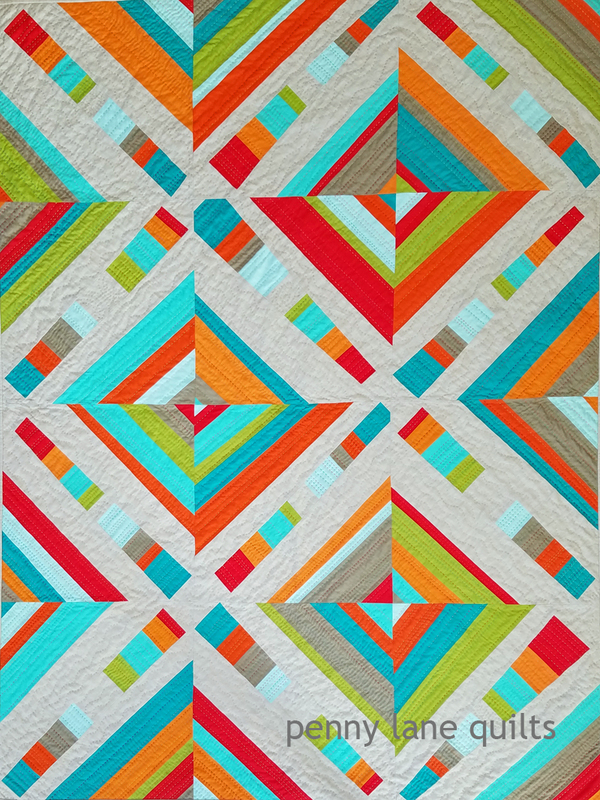 All it needed was a name and a label and just like that (lol), a finished quilt almost two years in the making. Love this view with the sun shining through the layers. I think it looks downright psychedelic!